The Coalition celebrated 25 years on April 30, 2016, in the Carriage House on the beautiful grounds of Belmont Manor in Elkridge. With lectures, opportunities to meet others who care about historic cemeteries, and a visit to two burial grounds, the day was educational, fun, and full of collegiality. 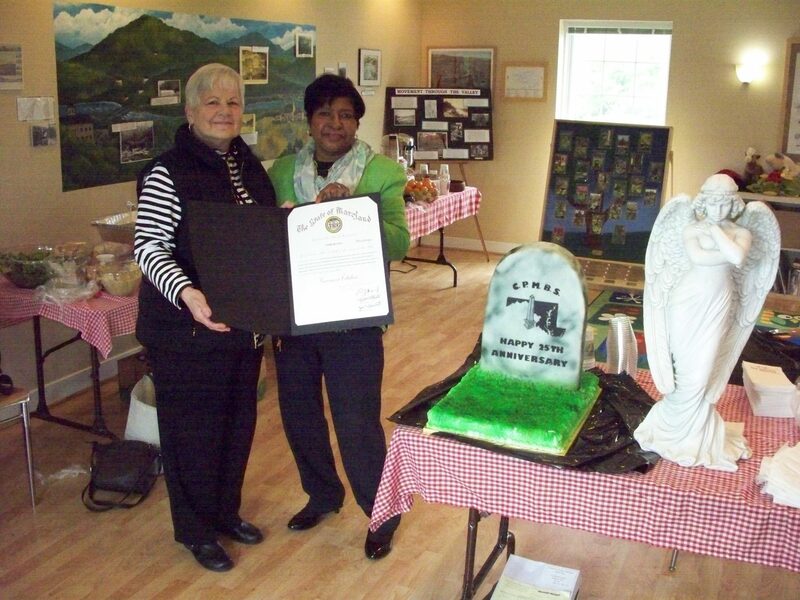 Continuing CPMBS traditions were a silent auction, recognition of good work in cemetery preservation, and good food. 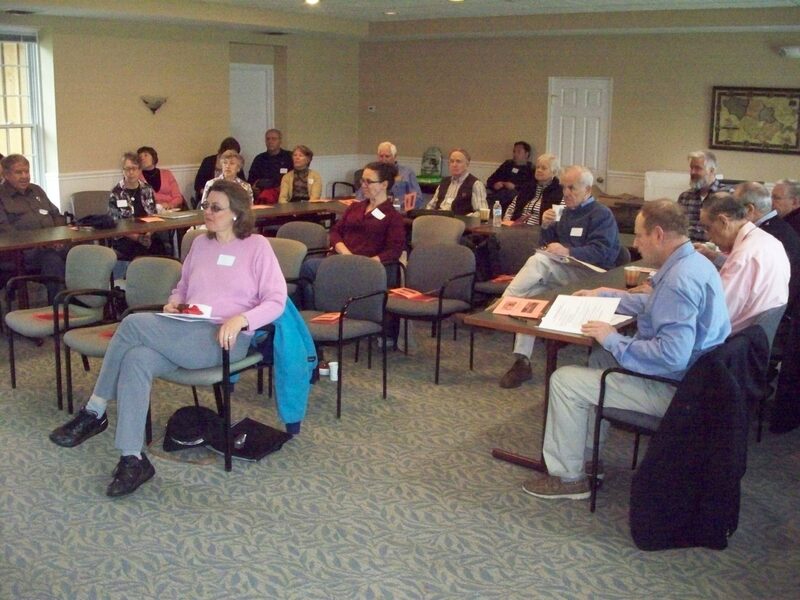 The day began with a presentation about the history of Belmont over almost 300 years. After centuries of residential and institutional ownership, today Howard County welcomes the public to a popular venue for events, weddings, picnics, and education programs. 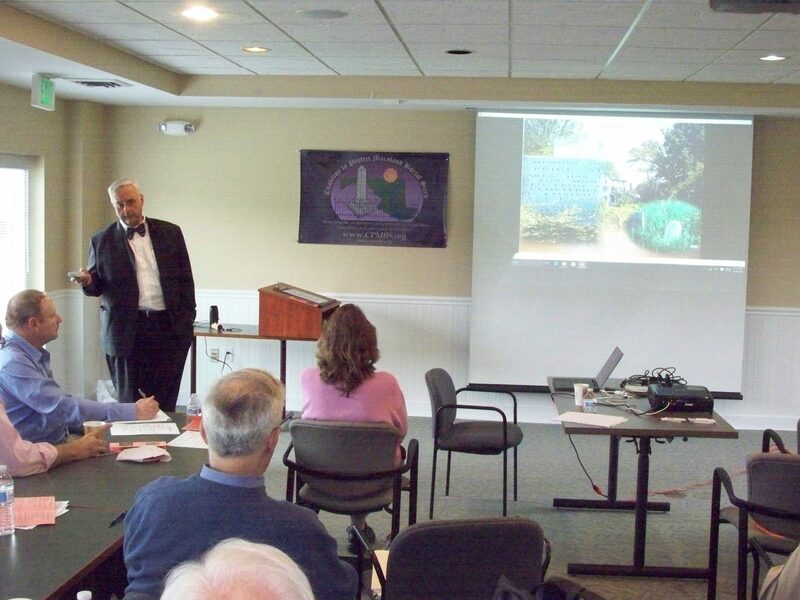 Our featured speaker was Michael Dixon, historian and author, who traced the evolution of graveyards in Maryland as well as changing practices and customs in the Mid-Atlantic states. 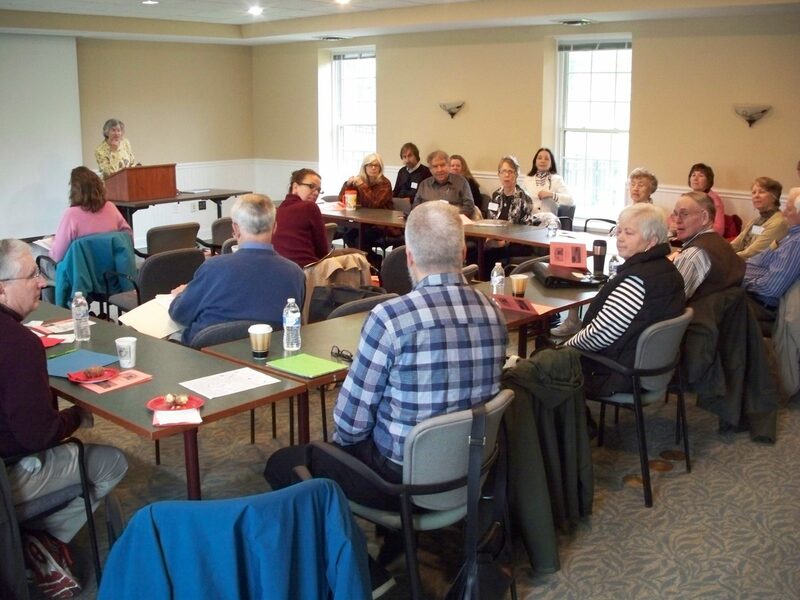 In another session, former Periwinkle Award recipients reflected on past cemetery projects and subsequent preservation experiences, followed by an open forum and group discussion that covered a wide variety of topics and questions. On the occasion of its 25th anniversary, colleagues and admirers honored Coalition founder Barbara Sieg. A relentless advocate for neglected and abandoned cemeteries, for decades Barbara has sparked interest and positive action in all corners of our state. 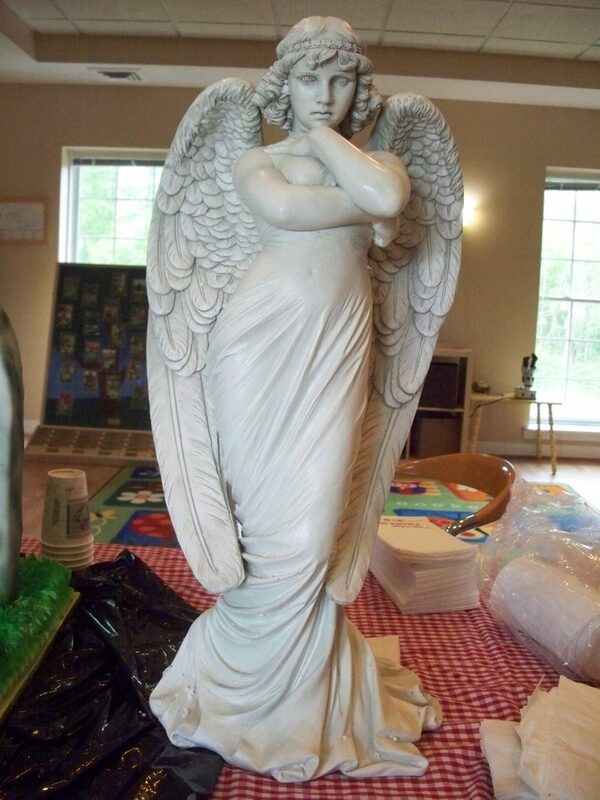 She joined us at the meeting via a video taken recently in her hospital room, and the group toasted our founder with stories, accolades, the gift of a garden angel sculpture, and a proclamation from Gov. Larry Hogan presented by OCO director Marilyn Harris- Davis. 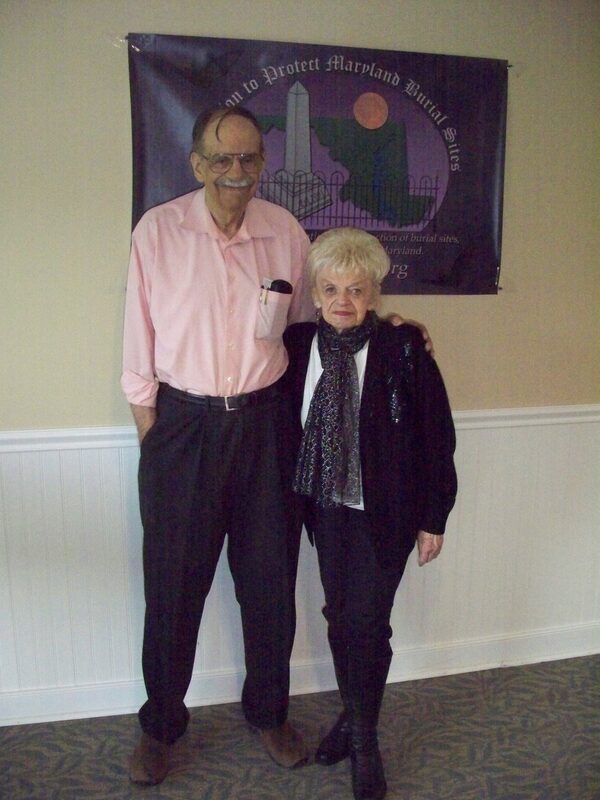 The brief annual business meeting included reports, election of 2016-18 new and continuing Directors, farewell to Gerhardt and Barbara Kraske, Ed Taylor, and Pat Warner, and an announcement about an exciting new initiative that will tilt the scales in favor of cemetery advocate: the Trader Foundation. 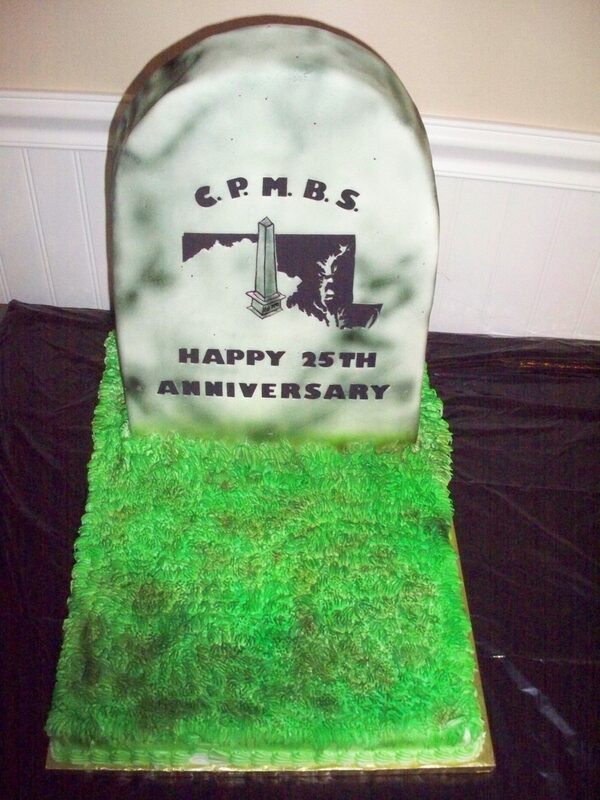 After attendees enjoyed a delicious buffet lunch prepared by Elkridge Furnace Inn, they were treated to a 25th anniversary cake in the shape of a tombstone. Then, attendees followed guide Fred Dorsey, president of Preservation Howard County, on a tour of historic Belmont family cemetery and Billy Barton burial grounds. When the day ended about 3 pm, everyone headed home with a CPMBS flash drive in a paper “casket”, courtesy of Mosko Cemetery Services and Diane Nesmeyer.